The perfect space for Holiday Parties, Weddings, Celebrations and all Special Events. Our private party room is wonderful place to host a special event like holiday party, birthday, anniversary or rehearsal dinner. 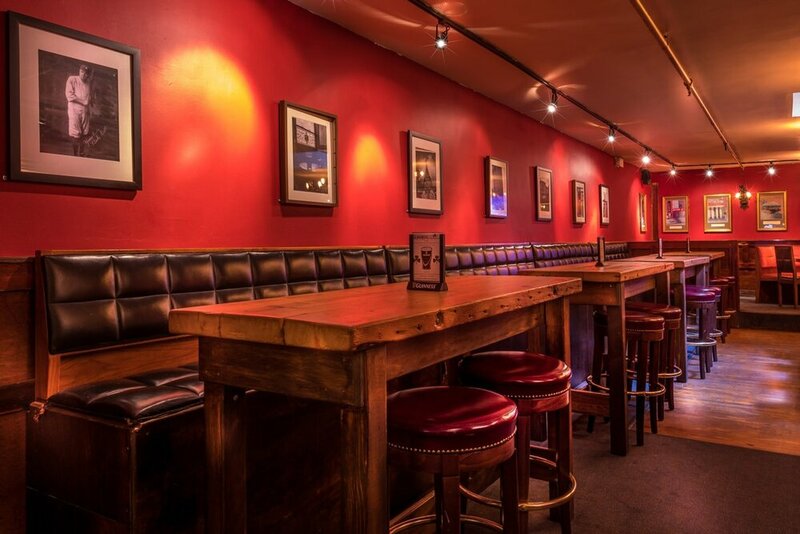 The we can host parties from 20 to 200 people, and we have various open bar and menu options to suit your needs. Please call 212.674.1394 to discuss your event and how we can make it better than your expectations. Our wonderful events room can fit up to 100 people and features multiple banquettes and large thick wood farm tables. The framed vintage photographs and posters and antique lighting accentuate the authentic atmosphere, creating a cozy comfortable space for any event. Reserve the entire room for your special event, or just a group of tables. For a more casual get together you can reserve tables in the bar. You can also rent the entire bar and fit up to 100 people. We also cater events off premises up to 100 people, so please call 212.674.1394 with any questions and to discuss menu options.